No one has to convince Linda Hickey of the incredible effect dogs can have on children with autism. She's seen it first-hand with her son Jonny and his dog Xena the Warrior Puppy. Xena, a pit bull, had been abused and neglected, and barely survived before being taken in by an animal welfare organization and later brought home with Hickey. Jonny, an 8-year-old with autism, struggled in social situations. Together, though, they thrived from the moment they met. “There was immediate laughter in my home,” she said. “[Jonny] was singing, he was talking. He was telling her she had a boo boo on her nose.” As Jonny became less withdrawn and more of a “outgoing chatterbox,” Xena improved as well, gaining the weight she needed to become healthy. 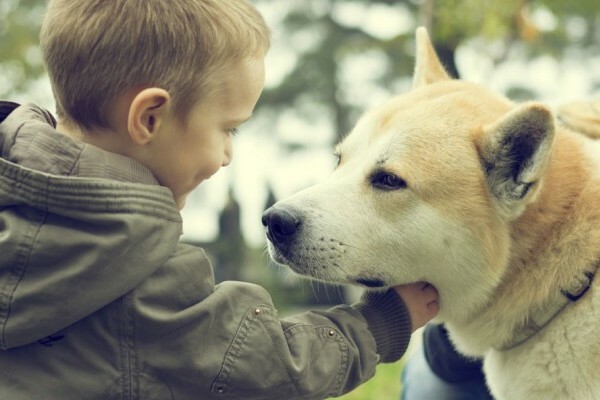 Dogs have been credited with providing us with a host of benefits—lowering blood pressure and stress levels, increasing social skills, and even possibly boosting the immune system—but the services they provide for individuals with autism go even further. More and more studies have been published in recent years revealing the positive effect therapy dogs can make in an autistic individual’s life. Autism Speaks has an entire section on its website dedicated to “autism and dogs,” in which scientific studies relating to research on this area are posted. Also, a study published last year in the Journal of Pediatric Nursing showed that 94% of autistic children with a dog bonded with that pet. In George, a school for autistic children even created a program in which the children helped socialize service dogs in training. But numbers aside, all one needs to do is see the interaction of a child with a pet and the special bond to be convinced. For example, in honor of Autism Awareness Day today, the TODAY Show featured the Fontana family, who was able to get a therapy dog from the Guiding Eyes’ Heeling Autism program for their 6-year-old autistic son, Mark. The change was immediate. “Mark exhibits a confidence that I've never seen before,” Fontana said. Do you have a therapy dog for an individual with autism who deserves to be recognized? Nominate him or her for AKC ACE Awards for Canine Excellence. Find more information here. Learn more about the health benefits of dogs here.